Michael Staniak ’s work explores the flatting aspect of digital media on our viewing experience. 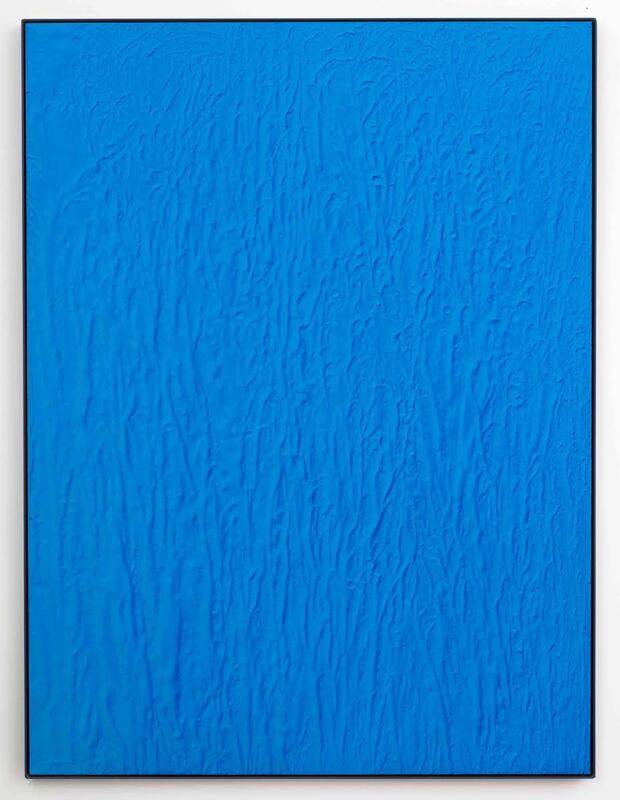 According to the artist, when the work is viewed in person it engages with a sense of digitally printed flatness even though it possesses a relief-like form. Staniak believes that when work is viewed on a screen, however, that form becomes more apparent because of the inability to move around the work and navigate it up close. “Thus it amplifies a dual reality, much like the duality that any physical work encounters when uploaded to a screen based device,” says Staniak. Staniak’s work explores the flatting aspect of digital media on our viewing experience. According to the artist, when the work is viewed in person it engages with a sense of digitally printed flatness even though it possesses a relief-like form. When the work is viewed on a screen, however, that form becomes more apparent because of the inability to move around the work and navigate it up close. “Thus it amplifies a dual reality, much like the duality that any physical work encounters when uploaded to a screen based device,” says Staniak. Michael Staniak is a painter whose interests are aligned with artists who use digital strategies to create objects or make works of art inspired by the culture of the web.His paintings and sculptures are physical, tactile and hand-made but refer to and operate at the crossover of online and offline formats, of technology and plasticity. In an environment where computer generated imagery and electronic transmission has become the visual vernacular and way of seeing,he andhis generation of artists are using, commenting on, imitating and finding inspiration for their pictorial worlds in digital technologies. Research exploring the state of painting in an age predominantly influenced by the internet and digital technology was the subject of Michael Staniak’s Master of Fine Arts at the Victorian College of the Arts completed in 2011 and it continues to be the focus of his art practice and the new works exhibited in Slow Pictures. The net culture and techniques may be Michael Staniak’ssubject for this body of work buthis homage is still to painting, as is elaborated inhis recent statement: Painting now exists in the hyper image production and sharing world of social media and the instantaneous shoot, download and upload of Instagram and Tumblr. The process of painting is antithetical to that of the way social media works with its constant updates, sharing, copying and pasting. Painting finds itself in a unique position where meditation and contemplation are both rare commodities and establishes it as a wondrous experience. Of course images of paintings will find themselves back in the stream of social media eventually, however their origin exists in real-time, in a physical space that allows the option of both readings. It is this dichotomy that underpins Michael Staniak’s practice andhis multi-coloured, textured paintings with their cartographic overlays and relationship between gesture and form. Works “that behave like contemporary trompe l’oeil paintings that baffle the senses” is the apt description given the works inhis recent Los Angeles exhibition.Included in Slow Pictures is a group of sculptures for whichStaniak has taken the iconic hardware of the digital world, the MacBook Pro, and used it as a surface and form on which to paint, rather than as a vehicle for making and disseminating digital images. Michael Staniak states: Painting exemplifies a way to slow down the image making and sharing procedure. Process and materials aside, the success of a painting will now be to resonate with an audience that is used to trawling the digital imagery of Tumblr and Instagram, to amass a new visual language that sits relevant to the context of today’s visual landscape.